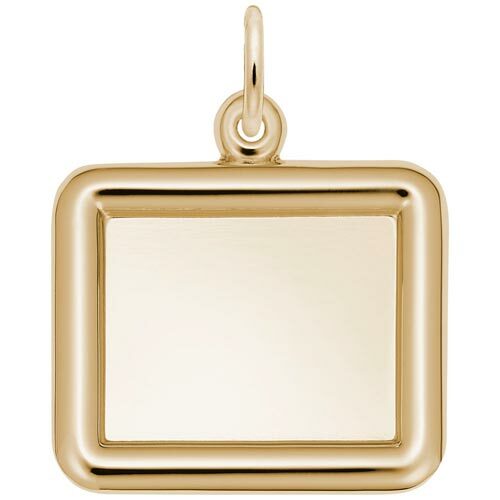 Horizontal Round Corner Rectangle PhotoArt® Charm by Rembrandt Charms. The width is 3/4 of an inch. Keep your family photo with you always with the Horizontal Round Corner Rectangle PhotoArt® Charm. This wearable art charm can be engraved on the back.